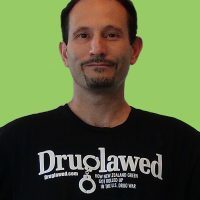 Shane Le Brun is the founder of MCANZ, Medical Cannabis Awareness New Zealand. A former soldier and corporal in the NZ Army with a role in munitions, Shane is now a leading advocate for medicinal cannabis, recently winning Norml NZ’s Award for Medicinal Cannabis. Kia Ora, Shane. What is MCANZ? 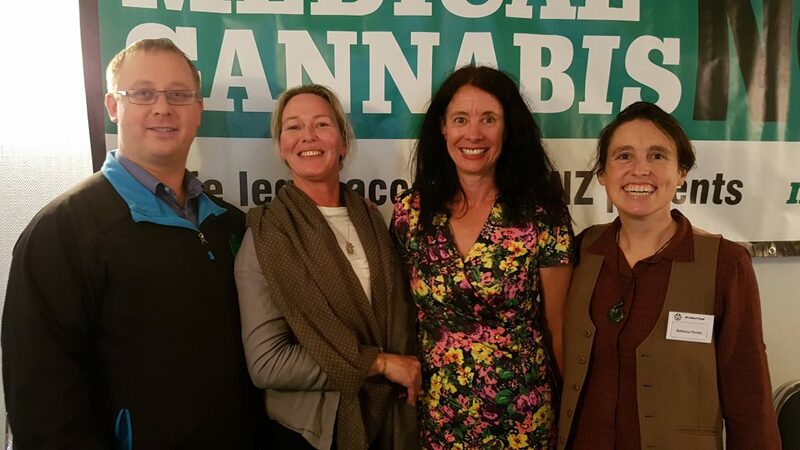 Medical Cannabis Awareness New Zealand or MCANZ (pronounced Em Canz) is a registered charity devoted exclusively to medical access. As a charity our key priority is assisting patients with legal access in the here and now under current law. What motivated you to establish MCANZ and engage in drug law reform? My wife initially, she suffers terrible chronic pain from a spine injury, after five years of conventional treatments with opioids, a surgery etc, we bit the bullet and experimented with Cannabis, lo and behold, it worked! The hippies were right! MCANZ’s slogan is “Putting patients before politics” – what specifically do you mean by this? What kind of products are currently legally accessible to NZ patients? Four products currently, three are unregistered medicines from Tilray and Sativex. I have exciting news very soon on another CBD product though….. and it will be delicious to boot! Is that satisfactory? What kind of access should there be, in your opinion? It’s rubbish, access-wise, I am envious of the range and costs afforded to Canadian patients, which make a mockery of what is available here. I would like to point out though that in many cases our NZ Pharmacies are the ones raking in the profit, not GW Pharma or Tilray. A Canadian direct to patient solution cutting out these middlemen would be an ideal way to cut costs. The current medicinal cannabis bill before Parliament does not legalise medicinal cannabis as the Labour government claimed they would but rather give patients a defence in court if they have 12 months to live. What do you think of the bill in general? I have no love for how the government has handled this, first, it was legalize in 100 days, then it was introduce legislation in 100 days, and now the regulations to accompany it are so delayed, and our Ministry of Health so under-resourced, that 1000 days is a safer bet. An advisory committee was supposed to be set up early this year to steer aspects of regulation which hasn’t happened. 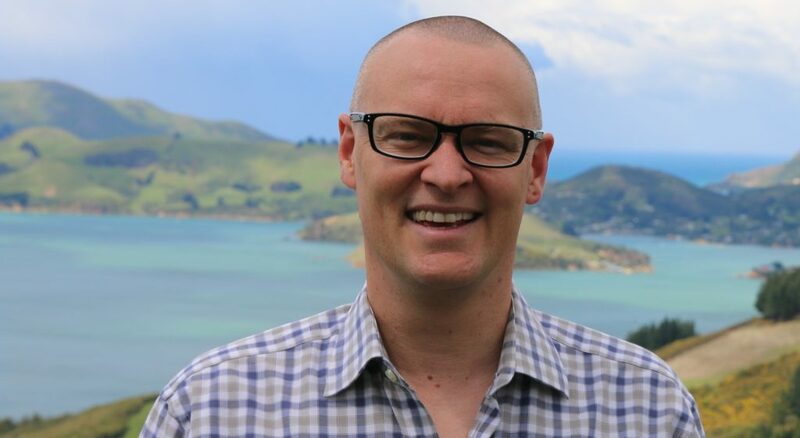 David Clark, our current Minister of Health seems incredibly disengaged in this area, I would really like to see him delegate responsibility to JAG from the Greens, that would restore confidence. So far I would give the govt D+, it’s better than nothing, but patients shouldn’t feel grateful for scraps when they were promised a three-course meal. I could go on and on about the failings in the formulation of the bill…. What solutions would you advise the government to implement? With that budget surplus, hire in external consultants, reach across the house to Shane Reti, for a teetotalling Mormon, he has really done his research on MedCan. We do have our policy booklet outlining a variation on Canada’s scheme, and one part, in particular, I am emotionally attached to is providing funding via the tax base for potential LPs so that the kids with epilepsy etc can have a shot at treatment. What does it mean for you to win the Norml Award for Medicinal Cannabis? It’s been a great honour to be recognized for my work, especially as I am still pretty new to the scene, I have only been active since 2014 after all. Running the Charity in my spare time was quite the time sink for a while there so it is good to have recognition. I appreciate that If I had started as an advocate just 2 or 3 years earlier I would have burnt out at the futility of the situation, so I am grateful to everyone who has gone before to “soften up the target”. I’m also grateful for the patience and forgiveness displayed by the community, I’m not perfect, and mistakes like our initial herald article, or the aborted attempt at a charity with UIC NZ could have derailed things permanently if not for the support of the community. How do you see the upcoming Referendum on cannabis playing out? I am a natural pessimist. Strong decriminalisation seems like a certainty for public support, but an adult use market could win if we engage properly, raise some money to get Canadian policy wonks in to speak to our politicians, town halls etc, I personally am in favour of a tight retail model that takes on board the lessons from big alcohol and tobacco. We have a new resource you may have seen at the CRC Conference. We are also working on a harm reduction brochure, additionally, my big project for next year, I am looking into a National MC Users survey next year, with ethics approval etc so that it is worthy of Journal publication. I would love to work with Dr Noller on this once I have the basics sorted, no one has done a detailed medical only usage survey in NZ. Thanks for taking the time to get us up to speed! We are sure MCANZ will be part of the national conversation as we approach the historic referendum!